When you think of evolution, you might picture the classic textbook illustration "March of Progress" by Rudolph Zallinger. It shows how, over 25 million years, our human ancestors slowly transform from hunched apes into modern homo sapiens. But now, thanks in part to roads and highways, lots of evolution happens much quicker than that. "Roads are everywhere and they're not going away," said Steven Brady, an evolutionary ecologist and co-author of a Darthmouth-led study profiling something called "road ecology." Basically, road ecologists study how roads, and the salts and chemicals we put on those roads, impact nearby nature. Some impacts are visible: think road kill and fragmented habitat. But Brady is drawing attention to a less-obvious consequence: rapid evolution. "Individual plants that are living right next to a road, in a couple different cases, have evolved the ability to deal with higher concentrations of things like lead, from fuel," said Brady. In his own work, Brady has studied how roads impact amphibians in northeastern Connecticut. He said while rapid evolution has a time component, it also plays out in isolated pockets of space. Where, across just tens of meters, scientists are seeing differences in how one group of amphibians evolves compared to another nearby population. Colin Donihue, a postdoctoral fellow at Harvard University, who studies how lizards live and evolve in human-dominated landscapes, said the realization that species are evolving within human life spans -- makes conservation more of a moving target. 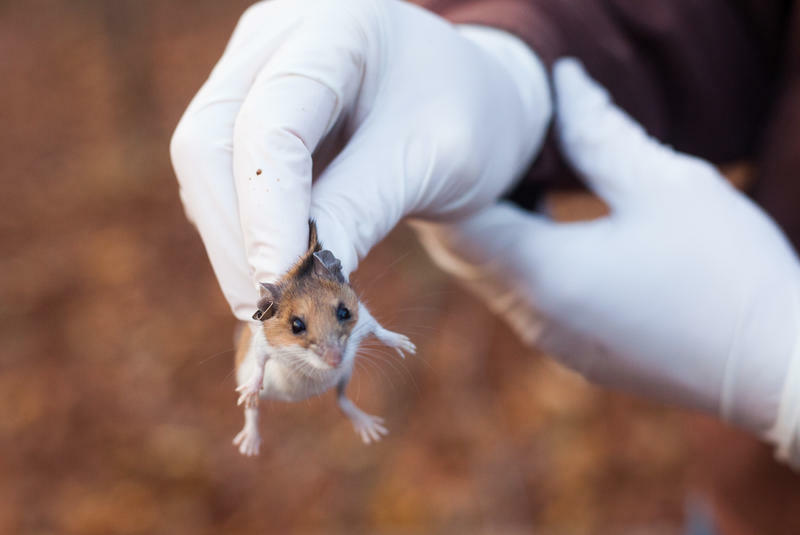 "That idea that ecology and evolution happen on commensurate time scales and can actually feed back and forth to affect each other is a really powerful new way of looking at the interplay of ecology and evolution," Donihue said. Steven Brady said he hopes that message resonates beyond the scientific community. "The things we do to the planet -- even when they seem minimal, like a road through a forest -- are not only causing this impact on how well a population does, but it's fundamentally changing the biology of the organisms that live there." The work appears in Frontiers in Ecology and the Environment. Connecticut Sea Grant supports a wide range of environmental and educational activities in Connecticut, but could be eliminated under President Donald Trump's budget. What's The Future Of Connecticut's Only Nuclear Plant? A bill that could change the way Connecticut's only nuclear power plant sells its energy is taking shape at the state capitol. Officials at Millstone Power Station are asking legislators to let them sell electricity directly to utilities.